The PDF is, as you’d expect from Void Star, fully bookmarked, layered and linked. In addition, each page features navigation tabs to better enable you to skip around the book to the start of each chapter, or back to the table of Contents. The print version is available in three flavors: Premium Color Hardcover, Color Softcover and B/W Softcover. And all of them look great! The print proofs for the softcover copies of Strands of Fate 2e are in, and they look great. The hardcover, however, is still at the printer. Hardcover prints always take much longer than usual this time of year, so I expect it to be a bit longer. I’d love to be able to release the print versions before the end of the year, but I can’t make any promises. Fingers crossed for a Christmas miracle! First up, the print proofs for Strands of Fate 2e have been ordered. We're looking at doing three print flavors: Hardcover Premium Color, Softcover Standard Color, and Softcover B&W. Once they come in, we’ll review them. And if there are no issues, we’ll hit the “LAUNCH” button on DrivethruRPG. Fingers crossed! Second, I was recently directed to a really well written review of Strands of Fate 2e over on Cannibal Halfling. I felt it especially notable because of how well the review articulates the differences between Strands of Fate and Fate Core. Strands of Fate 2e is out, and seems to be getting a very warm reception. Nothing is perfect though, and we've found a few errors. If you find any, please mention them in this ongoing Errata Doc. This will help us make sure we get any issues addressed and cleaned up before the print version becomes available. 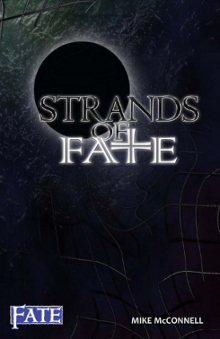 Void Star Studios is proud to announce the release of Strands of Fate 2nd Edition! The PDF will become available on Friday, Sept 14th, on DrivethruRPG. · Core Rules – This book is fully self-contained, and contains all the rules you need for making characters and playing the game. · Aspects – Full rules for the creation and use of Aspects, the popular narrative mechanic that has defined the Fate game system since its inception. o Strands of Cthulhu – In which desperate investigators confront the minions of the Elder Gods. o Strands of Fantasy – In which bold adventurers fight against savage and ancient evils for honor and treasure. o Strands of Valor – In which heroes imbued with super powers stand against tyranny and annihilation. o Strands of Neon and Chrome – In which cybernetically enhanced underdogs fight back against the oppressive mega-corporate elite. · Perks and Powers – The extraordinary and supernatural advantages that separate your characters from the masses. Whether a mutant psychic, a crusty old wizard, a crazed cultist, an ancient vampire, a cross wielding priest, or a genetically enhanced cyber-soldier, we’ve got you covered. Powers are presented as self-contained special abilities that are defined with Aspects, and further detailed through the application of Limitations and Enhancements. · Deviations – An entire chapter is dedicated to providing modular, variant rules that are added to, subtracted from, or used in place of the standard core rules. Deviations serve as a series of dials and switches, which can be used to tune the rules to better suit the story you want to tell. · Antagonists – The Game Mastery chapter contains a number of sample NPCs and creature to challenge your PCs with, or to serve as examples when creating your own. The print version of this product will be available a few weeks after the PDF’s release. This allows us to capture and correct any errors discovered in the first few weeks after release, and make sure they are corrected in the print version. Those who purchase the PDF prior to the release of the print version will receive a discount coupon for the print version! Despite a painfully slow development cycle, we hit another milestone this weekend with Strands of Fate 2e. Layout is nearly complete. The table of contents and cross references are done. Still just need to do a little work on the background graphics, lay out a couple of different types of character sheets, drop in the art, and add in a few of the "augmented" links (ones that exist purely to aid in digital navigation). 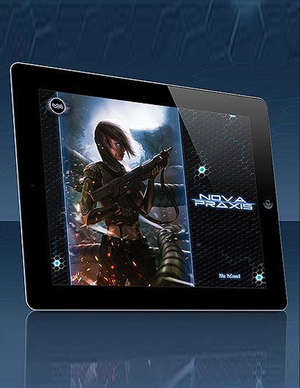 Unlike Nova Praxis, there will not be a "regular" PDF release for Strands 2. It will be "Augmented" only. I've managed a few tricks that will mean the Augmented PDF and the book will look basically identical. That means the A-PDF will be portrait orientation this time, but it's still sized for easy reading on tablets. The printed book itself will be slightly larger than Strands 1e, but smaller than a typical "full sized" RPG book. 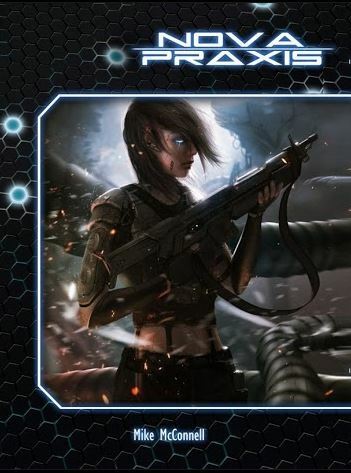 We're using the same size format as the print version of Nova Praxis: Savage Worlds Edition. And as of right now it's clocking in at around 230 pages. I just finished ordering a bound print from my local Kinkos, which is actually the milestone I was referring to above. With every book Void Star has released, I've always ordered a bound copy to be printed. I then read through that copy, start to finish, with a red pen in hand, spilling blood where it must be spilled. Incorporating the edits I find during that read-thru tends to be one of the very last things I do before release. We're in the home stretch on Strands of Fate 2e. Art is in and I'm about to begin layout. Layout is the last stage of development before proofs are ordered. And once they're approved, we'll be good to go! If you are interested in getting an early look at Strands of Fate 2e, and getting an opportunity to provide feedback and potentially shape the game's development, now's your chance. Application acceptance for the first round of Beta testing has come to a close. Keep an eye on this website, or our Facebook page, to be notified when it opens up again for phase 2. It's been a while! A year ago I posted about the need to take something of a sabbatical. And I did, sort of. But as it turns out, I'm not really good at sabbaticals. So, in the time I should have been spending making myself a better person, I've instead been working with a small team of freelancers and playtesters to lay the foundation for the second edition of Strands of Fate. So let's talk a little bit about that. What is Strands of Fate 2e? The original Strands of Fate was a labor of love and one of my proudest achievements. And yet, it was way too ambitious of a project for someone who had, at the time, never really published anything before. It was designed to be a massive toolbox, created to empower you to use the Fate game system to play pretty much any sort of adventure game. And while I think it largely succeeded, it did it by sheer brute force and page count. With Strands of Fate 2e, we're taking a different, more focused and clear, path to the same destination. Strands 2 is designed around a central core set of rules. These rules, Skills, Aspects, Fate Points, Stress.... the Fate classics; they're all there in the core. They make up a solid foundation upon which all Strands of Fate campaigns are built upon, and remain pretty consistent regardless of genre, power level, and other options. Is it a Fate Core game? No, not really. Fate was first introduced in Spirit of the Century. The first Strands of Fate was born out of a desire to take what was in SotC and create a generic core rule set. And since that time, Evil Hat has gone on to create their own version of that. This left Strands of Fate to become something of a diverging branch of Fate. And Strands 2 continues along that line. 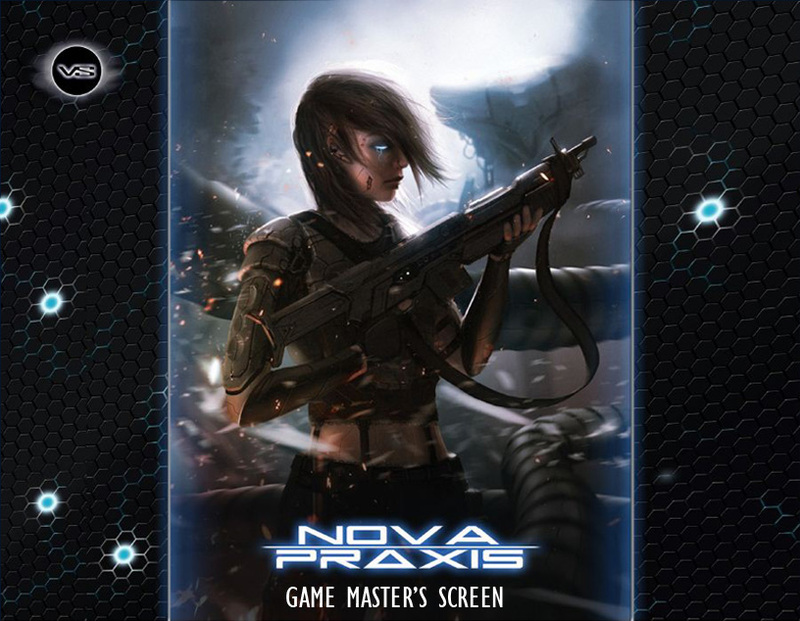 It's core rules borrow heavily from the work we did with the Fate version of Nova Praxis; which served as our starting point early in development. Strands of Fate 2e certainly shares a lot of DNA with Evil Hat's Fate Core, but we are not branding it as a Fate Core game. Strands of Fate is its own distinct version of Fate. So what's beyond the core? Branching out from the core rules are Strands, distinct rules modules added to, or layered over, the core rules to create a more refined experience. It includes Strands that make Aspects play a larger role in the game, and Strands that make Aspects play a smaller role. There are Strands that up the PC lethality of the game, and Strands that make it safer. There are multiple character advancement options, different initiative options, sanity rules, miniatures rules, and much more. And unlike Strands 1e, where the variant rules were sprinkled all throughout the book, the Strands in Strands of Fate 2e are clearly noted and confined to their own section of the book. This makes it easier to read and understand the core of the game system before muddying the waters with a tidal wave of options. And to further help GM's and players tailer their experience, we're introducing Schemas. A Schema is a sort of blueprint for your campaign, and there is a chapter in the book devoted to walking the GM through building his campaign's Schema. It asks lot's of questions; questions like: "How lethal to the PCs do you want the campaign to be?" "How much narrative control do you want players to have?" "How big of a role to you want wealth and equipment to play in your games?" And depending on your answer to these questions, it suggests which Strands you should consider adding to your Schema. One of the Schema's already in the Alpha version of the book is entitled "Strands of Cthulhu". And as you've probably already figured out, its a Schema that provides advice for using Strands of Fate 2e to run a campaign in which your PCs investigate and confront alien horrors from beyond. This particular Schema currently clocks in at four pages, in which we provide an overview of Lovecraft's setting, advice for the sorts of characters the PCs should create, some sample Campaign Aspects (which can either be simple flavor, or provide mechanical effects, depending on the Strands you choose), a discussion of the setting's Tech-Level, the character's starting Power and Experience Levels, what Races, Skills, Perks, and Powers are available, and what Strands are required, recommended or expressly not recommended. It then goes on to introduce the special Mythos Lore Affinity Skill, Mythos Tomes, and some advice about ancient rites and how the GM can use them in the game, as well as how PCs might access and use Mythos Sorcery. Other sample Schemas will get the same treatment, and cover classic fantasy, modern super heroes, and a few other common genres. 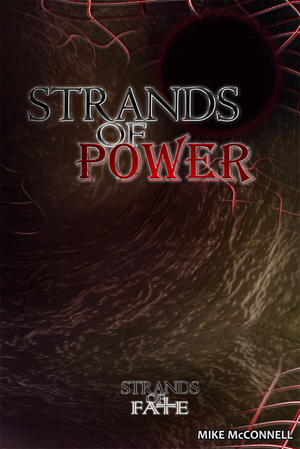 One of the things players seems to love about Strands of Fate is the vast array of powers available. And on that front, Strands of Fate 2e once again delivers. In Strands 2, the Powers are much more agnostic in that regard. In fact, their write-ups don't even mention how they are activated. How a player gets their Powers, and how they activate them, are explained by special Perks called Aptitudes. For example, let's look at Arcane Apprentice. When you take the Arcane Apprentice Aptitude, you gain one rank in the Arcana Affinity Skill, gain the Cantrips Meta-Powers, and you may choose one Power with the Ritual Activation Limitation. You may then learn additional Powers as you gain Experience and take additional Perks along the path to becoming an Archmage. Right now we're in the final stages of the Alpha testing. Soon we'll be opening the game up to a semi-public Beta test, in which you'll get a chance to check it out before the Kickstarter launches in March. Look for more on that near the end of the year! The Savage Worlds version of Ghosts in Darkness is now available on DrivethruRPG! Starting now, through December 1st, we're offering 25% OFF EVERYTHING in the Void Star store. 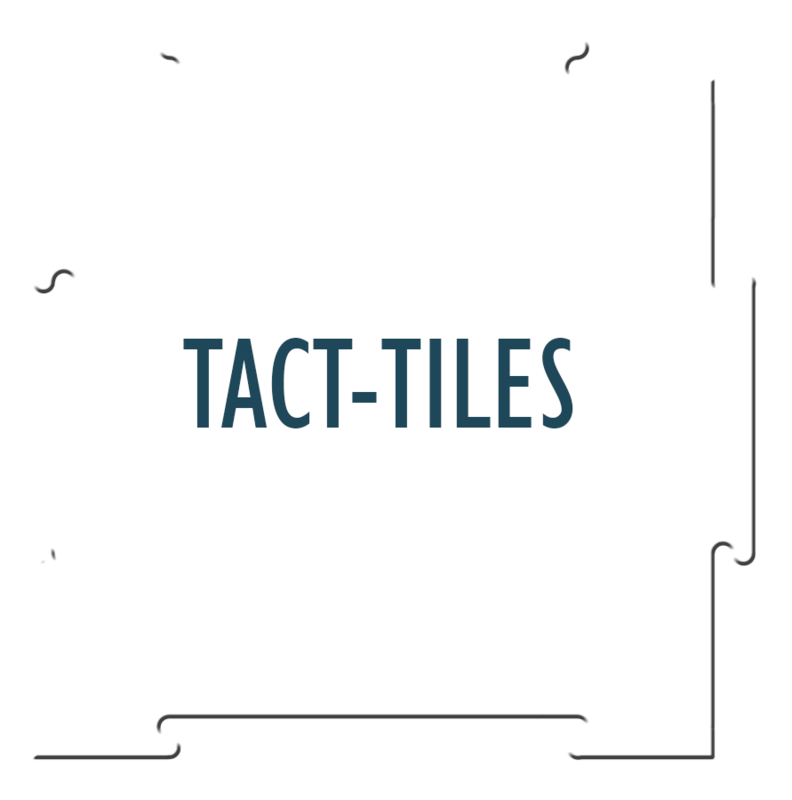 And that includes Tact-Tiles! Just check out using coupon code HOLIDAY2015 to receive your discount.